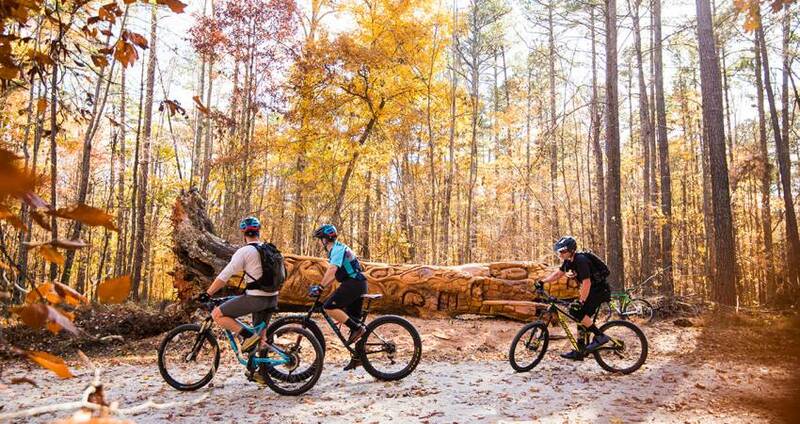 The Ideal Spring Break Alternative: Raleigh, N.C.
Raleigh, N.C. (Jan. 2019) – An opportunity to trade chaos and crowds for outdoor adventure and other funtastic, affordable things to see and do awaits spring breakers in North Carolina&apos;s capital city. Whether traveling with friends or taking the kids, visitors to Raleigh will discover the ideal spring break alternative: a destination packed with one-of-a-kind activities for every age and budget, plus breweries worth the trip (named a 2019 Top Ten beer destination in the world), a trend-setting culinary scene and Forty Free attractions. - Unplug and reconnect in the great outdoors! Raleigh is home to 10,000 acres of wide-open green space. New restaurants, visionary chefs and innovative locally-made products have catapulted Raleigh onto the national culinary scene and created a craving for the distinct dining opportunities found (or founded!) exclusively in North Carolina&apos;s capital city. The Greater Raleigh Convention and Visitors Bureau (Visit Raleigh), as the official destination marketing organization of Raleigh and Wake County, accelerates sustainable economic growth and development by increasing visitor and convention business. Raleigh, N.C./Wake County welcomes more than 16 million visitors annually whose spending tops $2.5 billion. The visitor economy supports more than 26,170 local jobs in Wake County and generates more than $250 million in state and local tax revenues, saving each Wake County household $671 in taxes annually. VisitRaleigh.com.